Imagine the courage it takes for children to try outrigger canoeing. That’s the situation for some visually impaired kids who have participated in an adaptive program run by the Nā Koa Kai Canoe Club, a Hawaiian outrigger canoeing program for kids in San Diego. Cervantes and his co-founder, “Auntie Casey” Czechowski, have been teaching Hawaiian culture and canoeing to kids ages 8–18 since 2011. In 2015, they started the adaptive program in San Diego called Nā Koa Makapō, which means “visually impaired warriors.” That first year, six kids participated. Last year, one student remained. But Cervantes is encouraged that more kids with visual impairment will try out this year. The season runs March to October. “All the kids we have had, with the exception of one, were completely blind,” says Cervantes, who explains the biggest challenge is building the kids’ confidence in the water. “It’s important that the kids learn to respect—but be comfortable in—the water, and not fear it,” he says. Visually impaired students are required to do laps around the canoe at practices. It’s challenging in the beginning, but they adjust and figure it out. The makapō students are integrated with kids who can see. All the participants practice together, which includes doing “huli drills,” where they capsize the canoe and flip it back over. “It needs to be done quickly and requires a great deal of teamwork,” says Cervantes, who created audio recordings of his Paddler’s Handbook on canoeing, Hawaiian culture and other cultural subjects. One of the parents is getting the cultural lessons converted to Braille so the kids can either listen to the recordings or read with Braille. 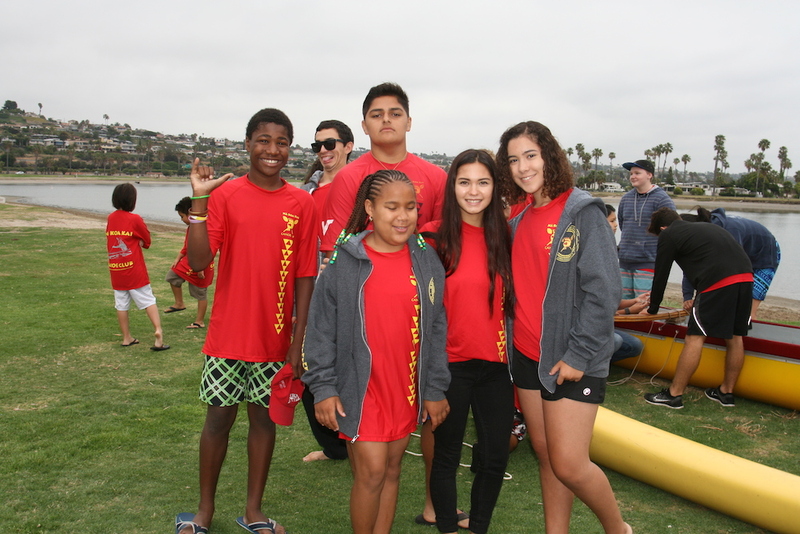 For the past two years, makapō students have participated in the San Diego Shaka Fest Regatta, where they are paired with typical kids to race other teams. A highlight of the regatta is the “Mixed-Plate” division, during which participant names from all teams are randomly chosen to race each other. The coach says this experience has created many friendships, as well as understanding between the visually impaired and typical participants. Throughout the season everyone works hard to create an environment in which everyone fits in and feels comfortable. To learn more about Nā Koa Makapō, visit www.nakoakai.com.